Archaeologists have always insisted most strenuously that ancient lenses never existed and could not exist. 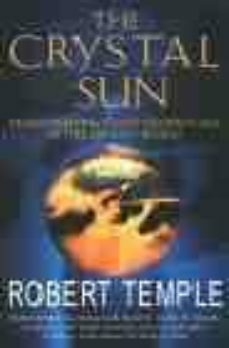 Robert Temple's real-life detective story started when he investigated an ancient artefact in the British Museum, formally believed to be a piece of rock crystal, proved that it had been ground to form a lens. He then went on to discover artefacts from around the world, including Greece, Egypt and some excavated from the ruins of Troy which has been misidentified, in some cases merely as jewellery. Tying in these artefacts with references in overlooked or misinterpreted ancient texts, he began to realise that these lenses had in many cases been used as telescopes. Also, to the ancients the bringing down from heaven of light to form fire - another function of these lenses - was a great mystery - perhaps the greatest. They thought they were nearly touching God. The priests who guarded the secrets of the sacred technology encoded it in myths, such as the eye of Cyclops, the eye of Horus and Prometheus myth; here Robert Temple deconstructs these myths to reveal their true esoteric meaning for the first time.